****I will give any person $10,000 for their choice ministry if he/she will go through my programs with me and show from the Scriptures that I am wrong about Calvinism being a lie of the devil. ***There are many very important subjects not being taught in the ... See More Christian Community, many being taught incorrectly based on false beliefs, and some beliefs that are completely made up and have no mention whatsoever in the Bible. This is very serious, please share with your family and friends. God is not backing up our confused, mixed up Christian Community because the denominational beliefs are so conflicting and even opposite in many cases. **** One of the confused areas is the difference in Signs and Visible Answers to prayer. Through the years when I have taught on different ways God reveals Himself to us, or as we most often say, “How God speaks to us,” one of the most common first responses seems to be from someone, “You better not seek signs, the devil can trick or mislead you!” Or, “Jesus said we shouldn’t seek signs.” Most people do not know the difference in Signs and Answers to prayer, so today I will explain in a way that you won’t have to be worried about mixing them up any more. Many people have said they are afraid to even pray some times when they should be praying and seeking God for clear understandable answers to prayer. ****When you understand the difference between signs and visible answers to prayer, you will have the confidence to seek God in all situations and know without a doubt that He wants you to seek Him anytime for any concern with all your heart. Philippians 4:6 states, “Be anxious for nothing; but in everything by prayer and supplication with thanksgiving let your requests be made known unto God.” Anxiety is always the result of evaluating some future circumstance without considering God in it! You are trying to figure it out yourself, not trusting that God will be involved with you. So, let anxiety be the “red flag”, trigger or reminder to immediately consider God in your future concern. Start by talking to God, praying, about your situation every time you think of it and you will see that your trust in God will increase and the anxiety will decrease because you have cast your cares on Jesus, 1 Peter 5:7. Don’t wait until your situation is so bad that you feel “all I can do now is pray”-pray when you recognize the first sign of anxiety. 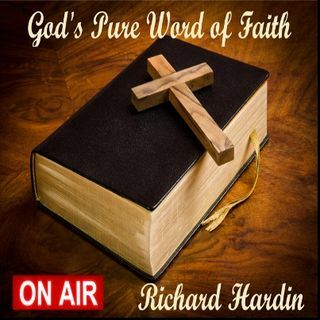 on @KLRNRadio.com 7AM CST Tue #GPWF #Christian or anytime rahardin.com at podcasts.